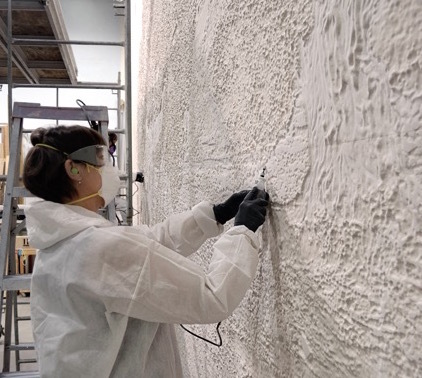 We explore the highly original Bas Relief surface from the renowned Gorman Studios. 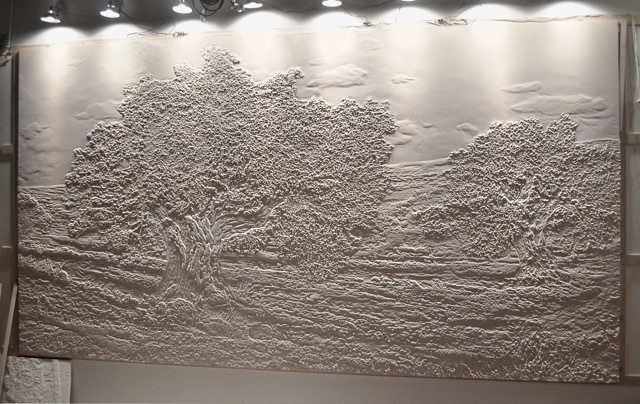 Bas Relief is a stunning surface created using traditional techniques by the artisans at Gorman Studios. Named after the French for the Italian process of basso relieve – a form of sculpture in which the forms project slightly from the background without detaching completely from it. Low relief as a technique is traditionally seen as a classical style. This process was reintroduced in the Renaissance period, predominantly in Italy. Before the Renaissance revived this historical technique, low relief was commonly used in the architecture of the ancient civilisations of Mesopotamia and Ancient Greece. There is also evidence of this technique being present on the temples of the Roman Empire. Gorman Studios developed a new technique to achieve this surface, combining the traditional, ancient method of stone carving with contemporary technology. The skilled arts of the Gorman Studios team were able to meticulously craft a spectacular pastoral scene with immense detail. 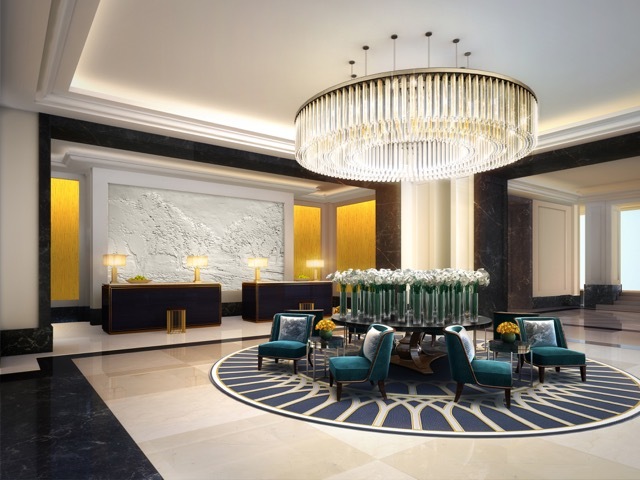 Originally created as a panel for a luxury hotel in the Middle East, Bas relief panels can be made to order to any design and size imaginable. This surface is crafted by Gorman Studios, a one-of-a-kind studio who specialise in creating beautiful, completely bespoke works of art. Founded by Peter Gorman in 1983 in Vancouver, this collective uses incredibly specialist techniques such as verre églomisé, hand painting and contemporary or traditional lacquering.